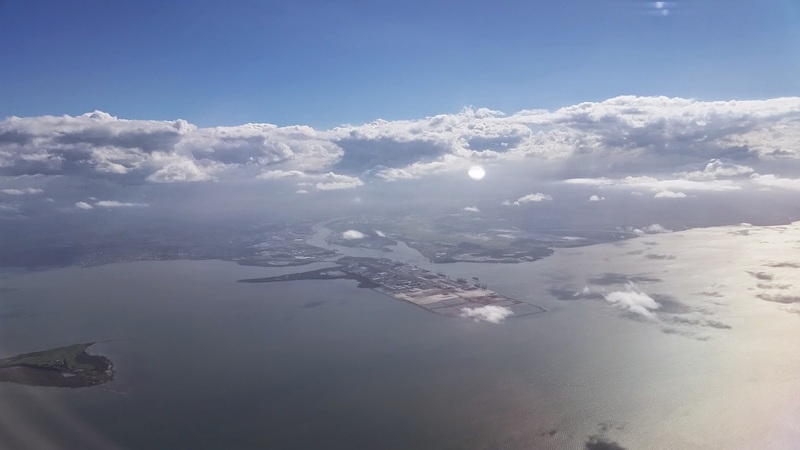 Following on from my first two articles detailing Qantas' short haul domestic business class offering, let's have a look now at what the competition is doing. 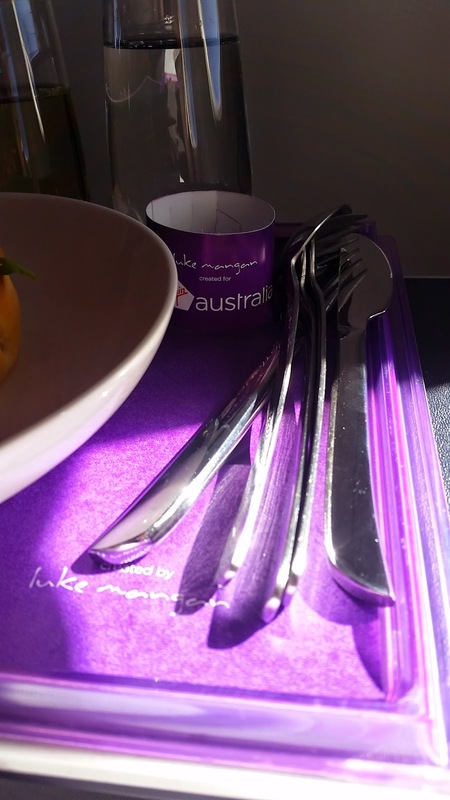 Virgin Australia only went 'premium' a few years ago and I was yet to try their offering in business class on short haul. With that in mind I booked an award ticket Brisbane to Melbourne (via Sydney). 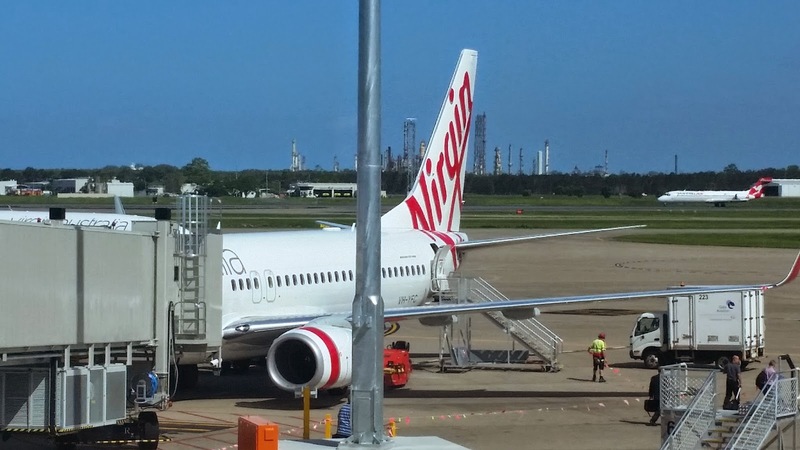 This article covers the first sector, flight VA960, the 3.30pm service from Brisbane to Sydney on a Boeing 737-800. 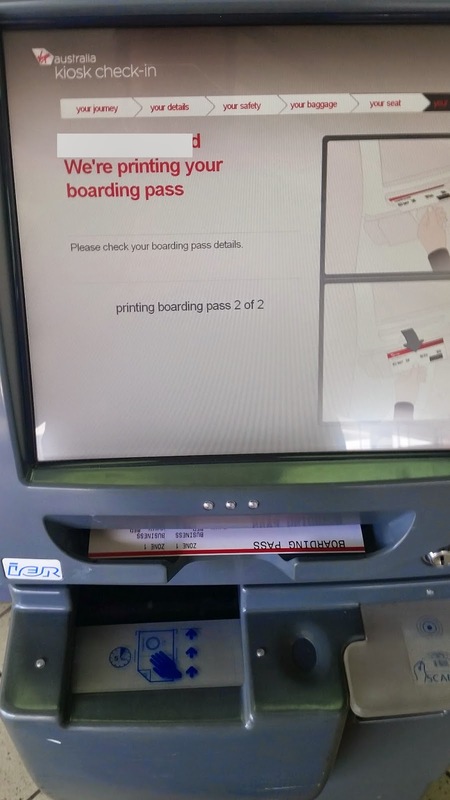 I arrived at the airport a little after 2pm and headed to the kiosk to print my boarding pass, I had pre-selected seat 1F, a bulkhead window in the first row. 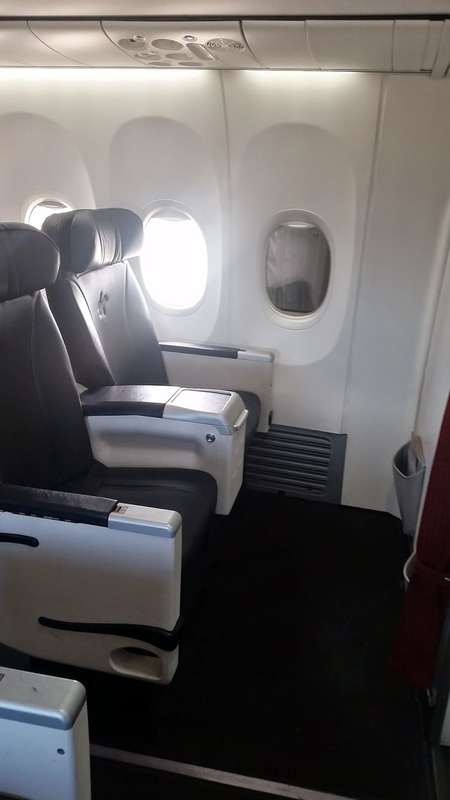 Virgin Australia only offer 8 business seats on the B737, 2 rows of 4. 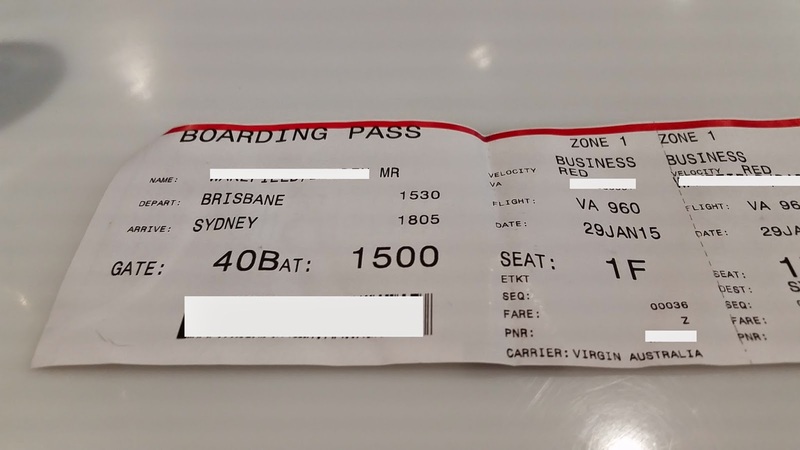 This compares to Qantas who offer 3 rows of 4 totaling 12 seats. 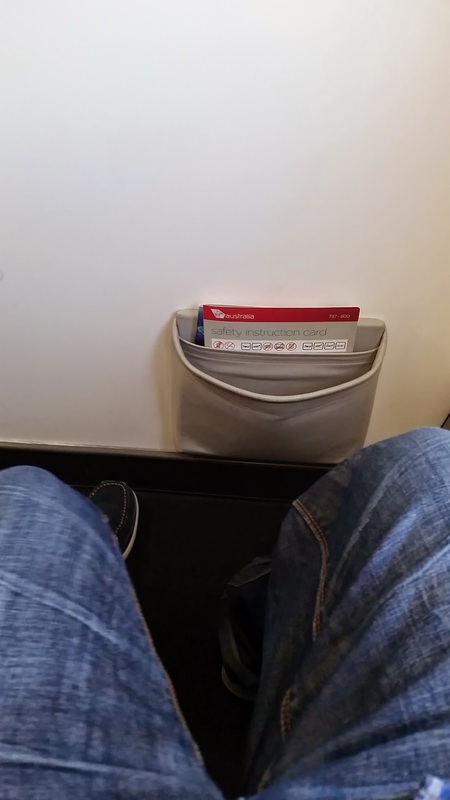 Both Qantas and Virgin seats are quite similar in terms of width and pitch, however Virgin do not offer a foot/leg rest. 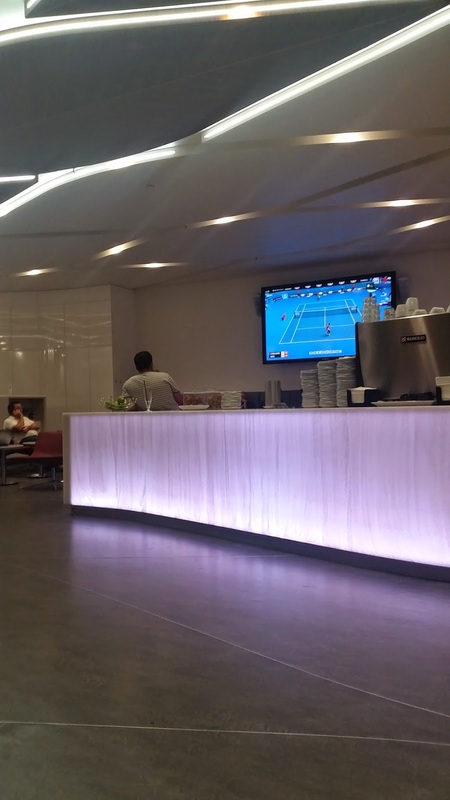 We will look at the seat later but for now it was off through security and to the Virgin lounge. 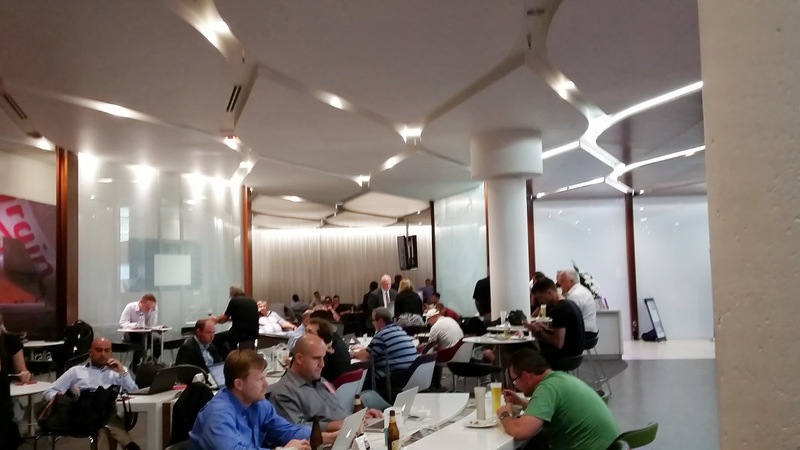 The lounge is currently under renovation in Brisbane and will soon be much larger and feature curbside premium entry. 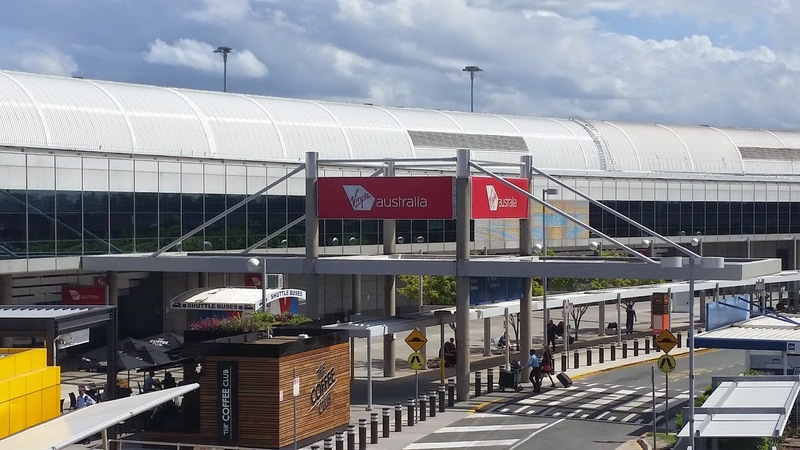 I believe these extensions will open mid year and they will be a great addition, and certainly a plus with the curbside entry when compared to Qantas. I had been out and about all day so I decided a shower was in order. I headed to the bathroom section and found there was only 1 shower in the whole place for men. 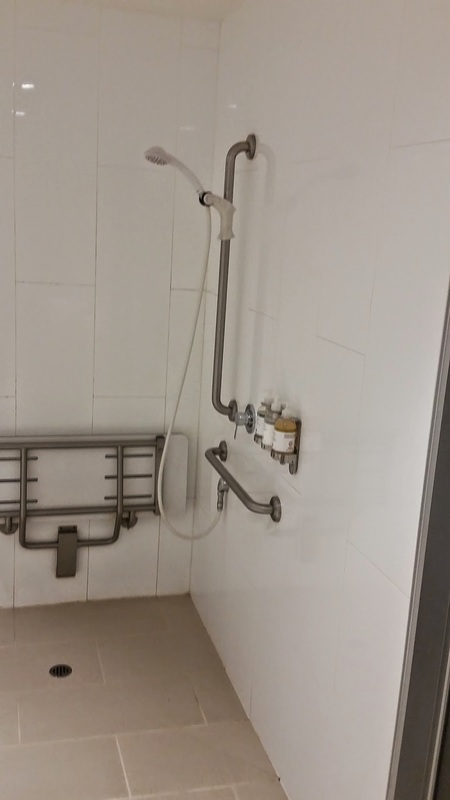 It was in the handicapped toilet and was basically an attachment out of the wall. It was woefully inadequate and rather pathetic not to have a proper shower cubicle. I hope this will be addressed in the new upgrades. 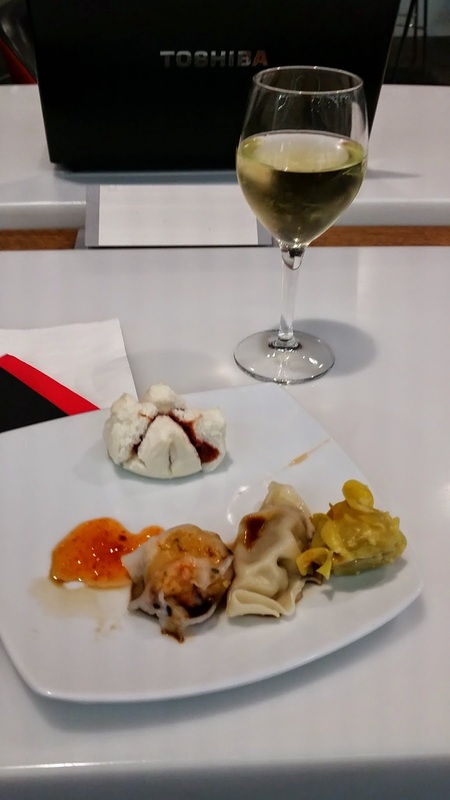 Anyway once I was out I headed into the very crowded lounge and grabbed some dim sum and a glass of wine. Eventually it was time to head to the gate and board, fortunately the gate in use for my flight today was right outside the lounge. 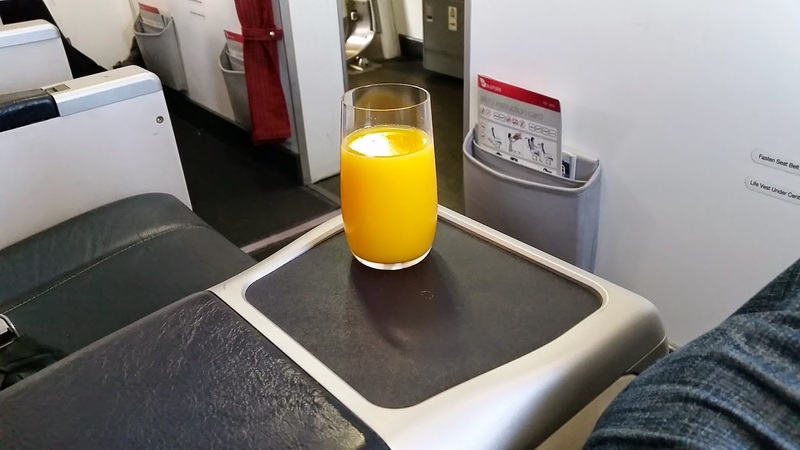 A welcome beverage was offered, water and juice, same as Qantas basically. 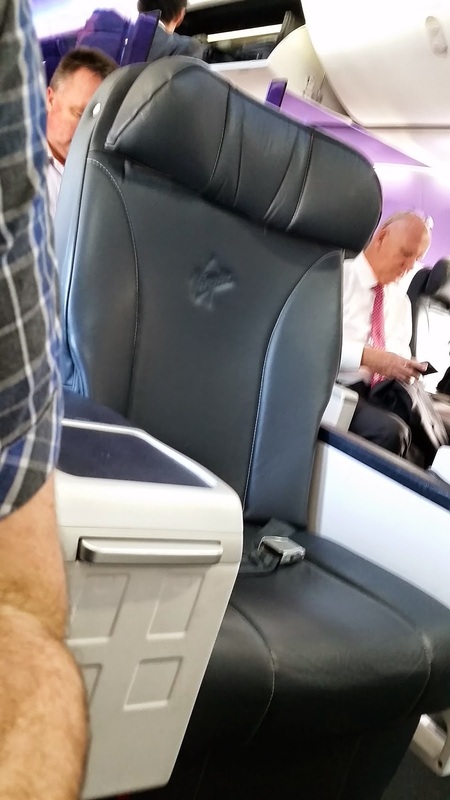 I was lucky enough to have the seat beside me free, the second row was full and in total 6 out of 8 seats were taken. 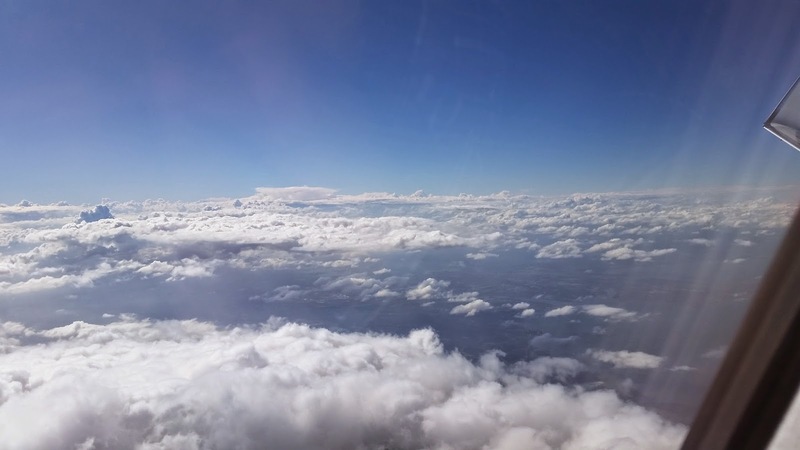 We departed on schedule at 3.30pm and made our takeoff towards the north before a series of right hand turns to head south in the direction of Sydney. 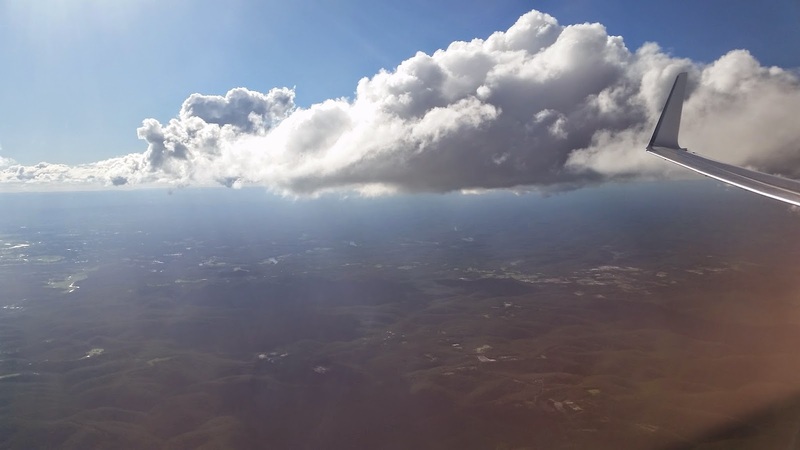 This was an afternoon flight so just a snack was on offer. I had a bolognese tart, I do apologise that I have forgotten what the other option was. 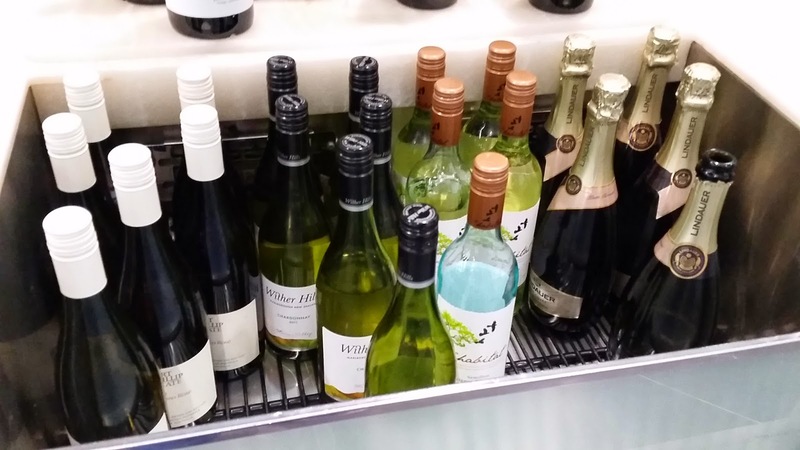 There was a choice of THREE different white wines, this was quite surprising as Qantas only ever has one. The tart came with a side of leafy salad with dressing and a warm bread roll. Overall meal presentation I would rate as very good, and it tasted nice too! After my snack I visited the forward lavator which is reserved for business class. 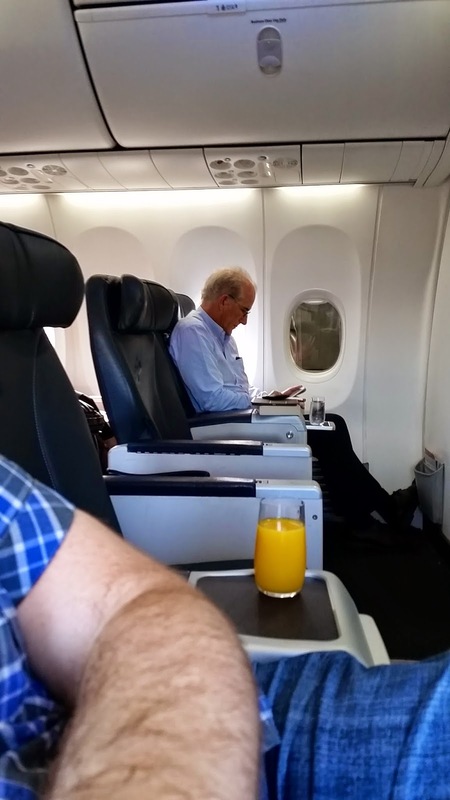 This is policed quite well as there is a solid barrier blocking business class from economy. 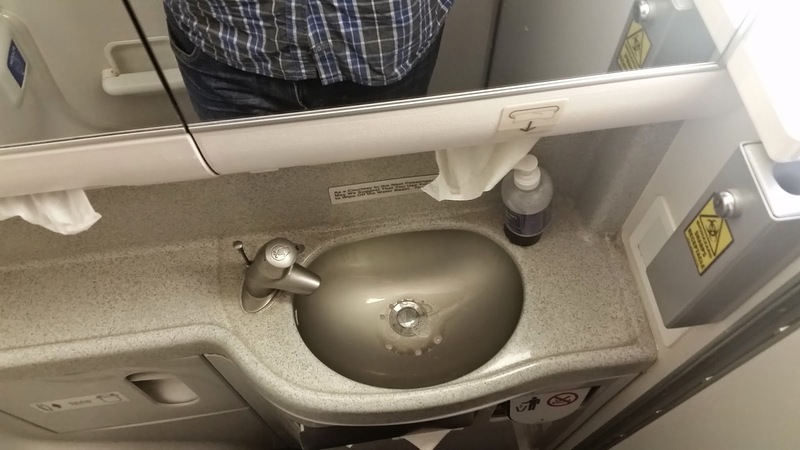 It's not a curtain but basically a bar that is fixed across the aisle between business and economy so you can still see through. 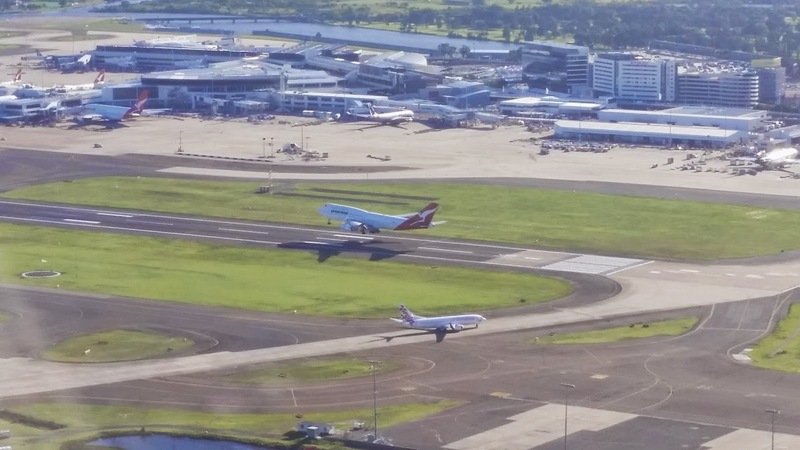 My last couple of Qantas B737 flights the curtains were not drawn so you tend to get a flow of economy passengers coming through the cabin which can be frustrating. 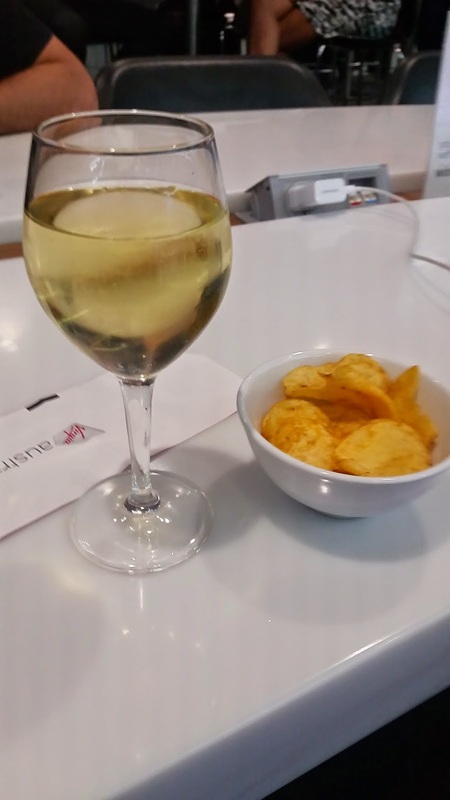 After my snack and visit to the loo I decided to continue on the wine and I asked for some nuts to go with it, they came in a nice bowl which is an improvement to Qantas' packet nut mix. 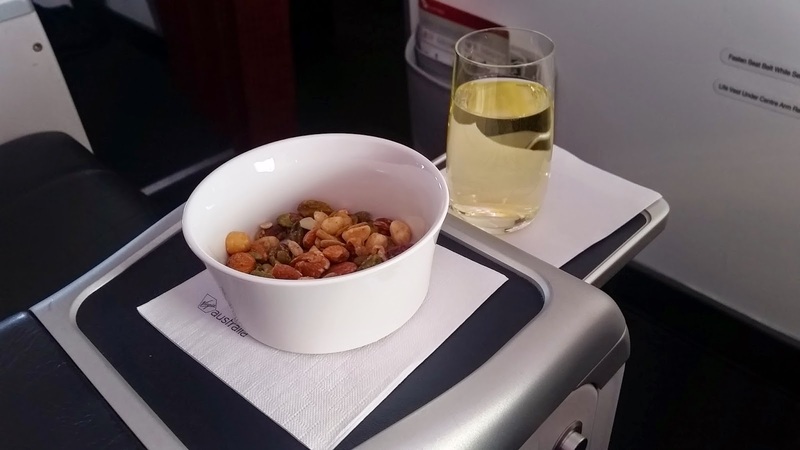 I had read online that there was a business class snack menu on offer with Virgin these days, but this was not mentioned or offered to me at all by the flight attendant. Admittedly it is a short flight so there is not much opportunity to eat more food. At least my wine was kept full at all times! Sadly it is served in stemless glassware, which I hate. 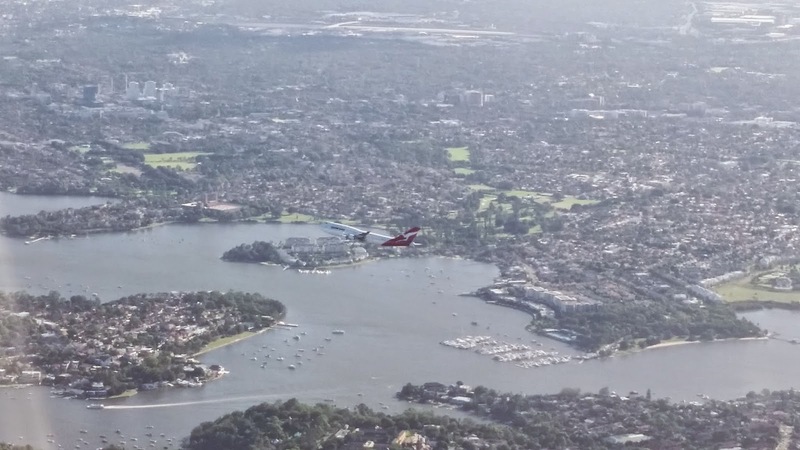 It wasn't long before we were on descent and following a Qantas jumbo jet on a parallel approach into Sydney. 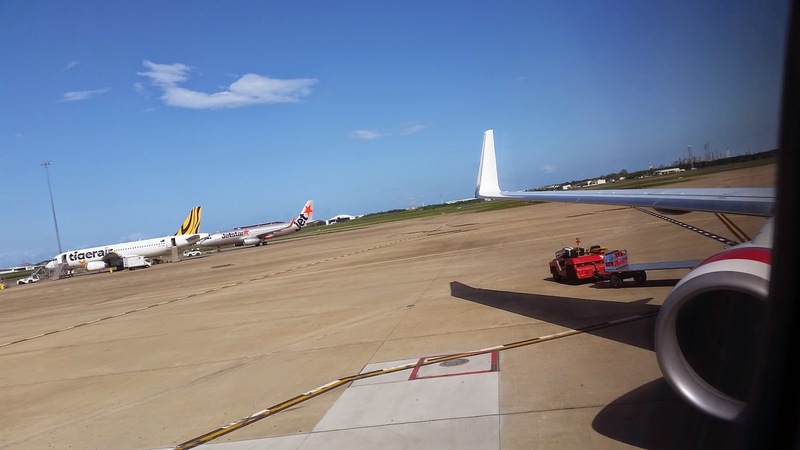 We arrived on schedule and made our way to the Virgin Australia terminal at Sydney. 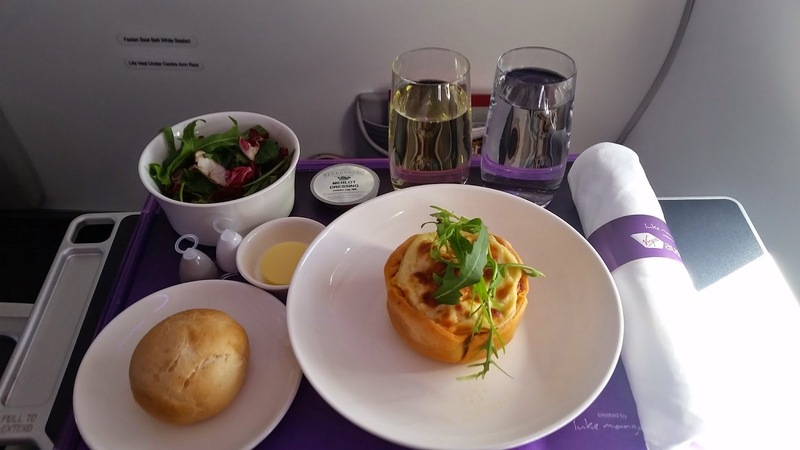 It was just a 65 minute flight but it was very pleasant and I was really impressed with the meal presentation and wine selection. 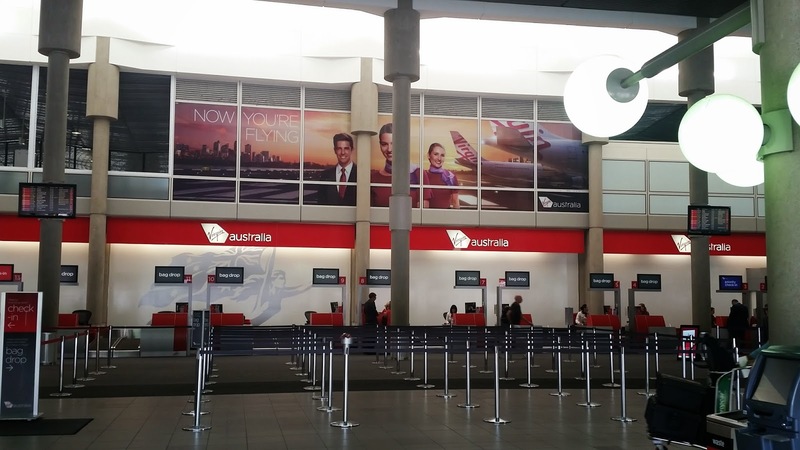 The crew were great and they are providing great competition to Qantas. 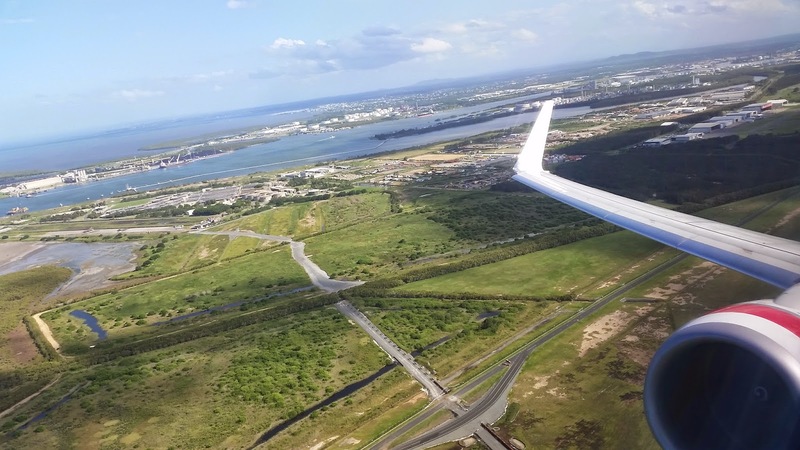 I will review the next sector in part 4, Sydney to Melbourne, and then offer my final thoughts.